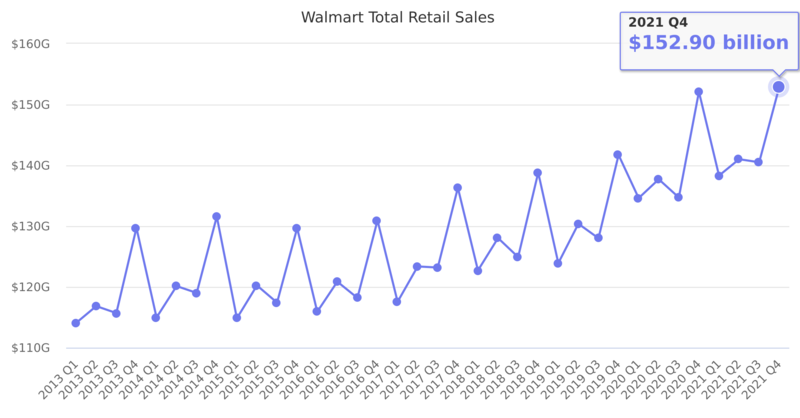 Includes US Retail Sales, International Retail Sales, Sam's Club Sales, and other income. Last reported quarter 2018 Q3 it was $124.90 billion, up by 1% year-over-year from $123.18 billion. From $485.87 billion in 2016 it increased by 3% to $500.38 billion in 2017.